Our core cleaning solution, The Natural®, is environmentally friendly and certified green by the FDA. At Chem-Dry of Seattle, we provide superior carpet and upholstery cleaning services throughout the Seattle, WA area. Our patented hot carbonating extraction cleaning process penetrates deep into the fibers of your carpet and upholstery, removing an average of 98% of common household allergens. 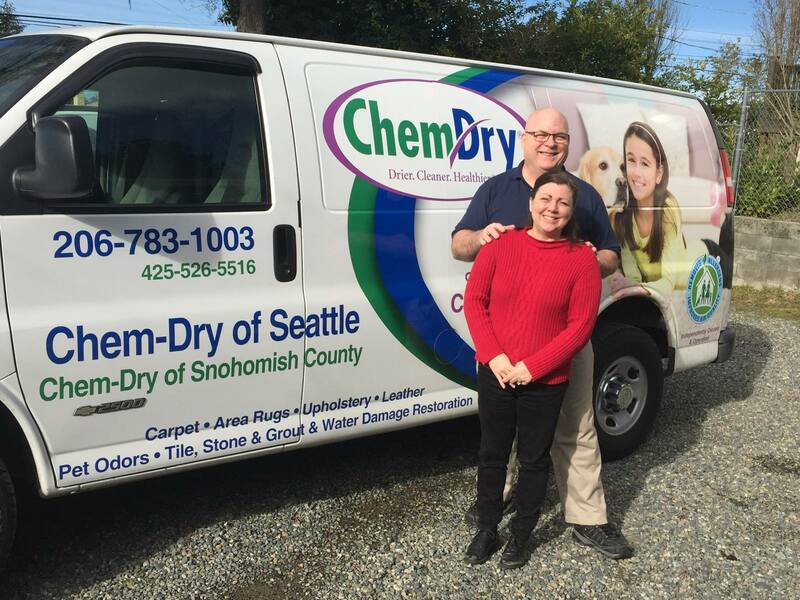 Chem-Dry of Seattle is locally owned & operated by Gene Chakos right here in Seattle. We live here, we raised our kids here, we work here and we love this community. Our goal is to help our customers live healthier lives by providing you with clean carpets and a healthier home. We take pride in being a local carpet cleaning company that our customers rely on to deliver an amazing cleaning experience at an affordable price! Give your home or commercial space a deeper, healthier clean. Chem-Dry of Seattle is the natural choice for cleaner carpets & upholstery. Get a price quote or schedule your carpet cleaning appointment today by filling out the form below.